Once you complete the Life Dreams and Legacies Quest you will be able to use orbs to build the Beach, once the Beach is built you need orbs to build the surfing kiosk (4 Bronze Sporty Orbs and 1 Silver Sporty Orb) before your teen and adult sims can complete this hobby. NOTE: only one sim can do this hobby at a time. 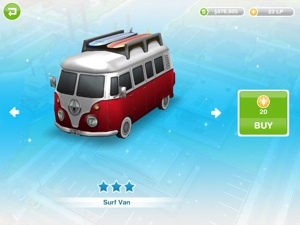 After the time has passed come back and click the exclamation mark above your sims head to find one of the surfing collectibles in that row. 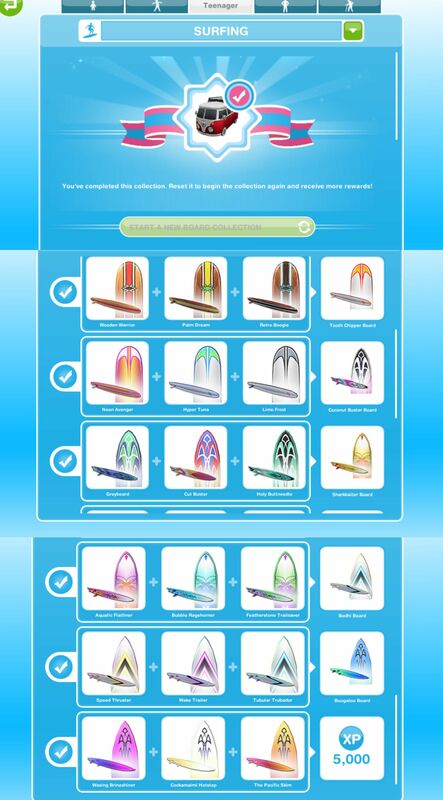 You still level up in this hobby but the hobby level up percentage isn’t important as the surfing collectibles don’t unlock depending on your level, when you finish one row of surfing collectibles you will unlock the ability to find the boards in the next row using the next board. I really like this hobby, not only because completeing it gets 5 LP’s, but after you’ve unlocked all the boards and restarted it you complete the rows according to the board you choose to surf with and in any order. Once you’ve unlocked one row, it’s a done deal and you can work on a row where you’re missing pieces. Same. I’m excited for what’s coming but everything just takes a while to do if you aren’t frequently buying Lifestyle Points. It’s still very fun. On the mysterious island, you need to complete the life dreams quest before you can build the beach. You cannot get orbs without your sims ageing. I love reading your blog. It is very helpful. I truly could not successfully play this game without your insightful tips and walkthroughs. Thanks so much!!! Hi, I have just completed the surfer hobby but hadn’t realised that I would need the Car Dealership to get the camper van. If I build the car dealership now, will the camper van still be available to me ? Thank you. Yes, it will be available once you have built the car dealership.